Hire McGrain Land Services to design and build a custom outdoor kitchen for your backyard in the Livingston County, MI, area. 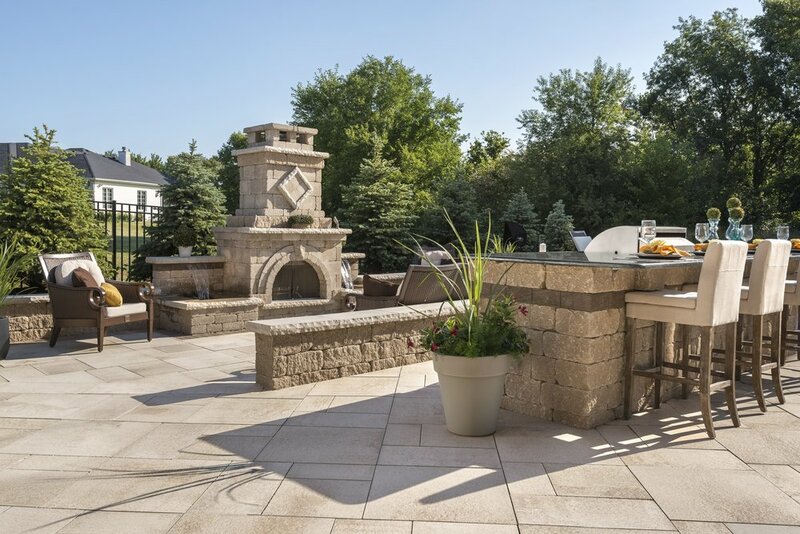 Elevate al fresco dining to a whole new level with the addition of a modern outdoor kitchen. When all food prep, roasting and serving can be completed outdoors, there's no need to break up the party to transfer food from inside. What's more, our expert designers can tailor each outdoor kitchen design unique to your distinct property and needs. With top stonework and craftsmanship, our outdoor kitchens exceed function, and reinvent the use and appearance of an outdoor space. Whether seeking a diminutive food-prep area or an extensive kitchen with a food range, we work one-on-one with each client to transform each vision into reality.